Skechers' marketing pitch: Next generation of transitional running shoes. Upper: Spacer mesh, synthetic leather, heat fused synthetic films. 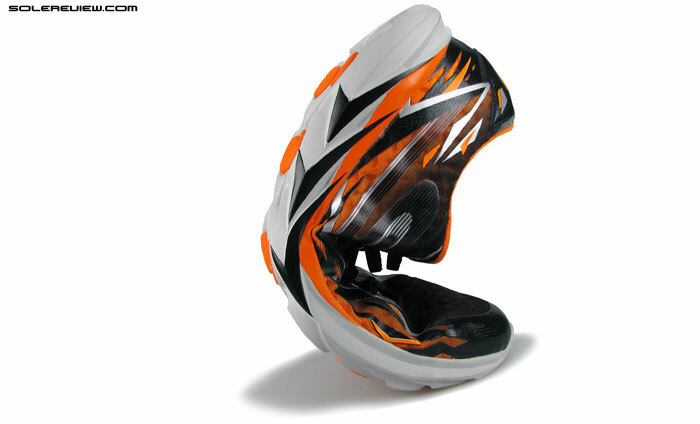 Midsole: Dual density injection molded EVA, 4 mm heel drop. 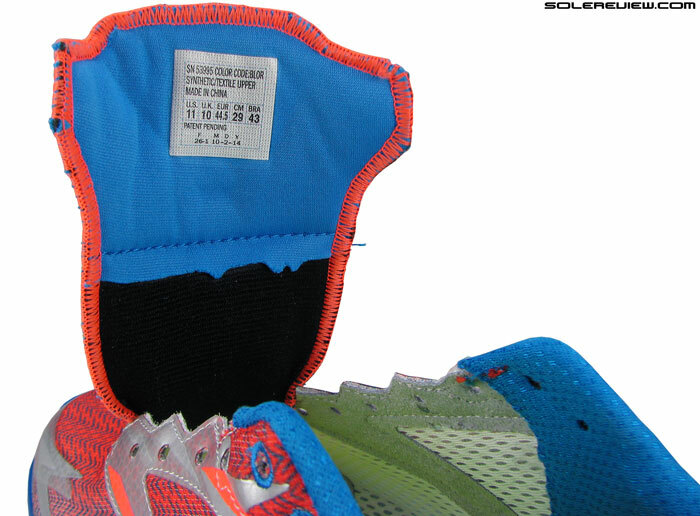 Outsole: Circular rubber pods in forefoot and heel, angular inserts under midfoot. One of Skechers' three marquee running shoes, the GR4 is a lightweight trainer which combines great transition, a comfortable upper and improved support features. Its $100 pricetag might not be palatable to some. Smooth ride, lightweight, midfoot support. 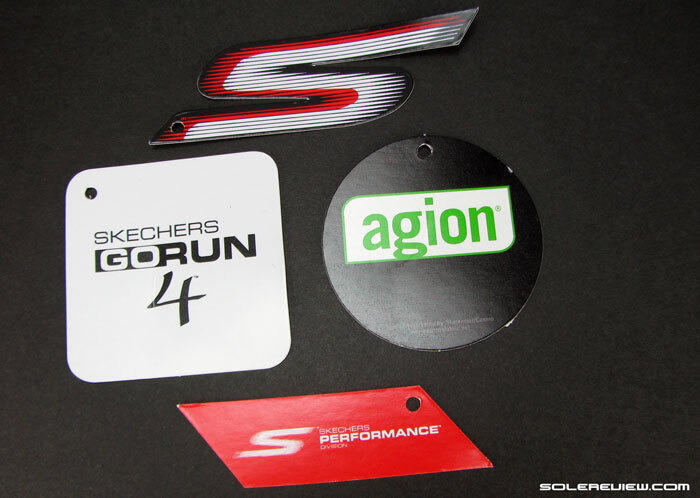 The Skechers GoRun 3, like the GRR4, comes with a pair of ‘optional’ insoles. We say these are mandatory to best extract the shoe’s ride qualities. Don’t use the insoles, and this is what you get – a padded Strobel which also works as the footbed. 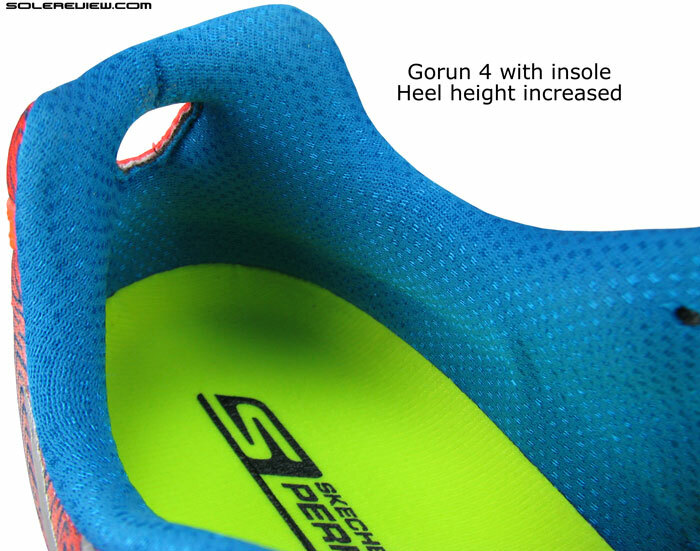 Having reviewed two versions of the GoRun Ride and now the GoRun 4, we are convinced that the best way to experience these shoes is to wear them with the insole. For those of you who’re new to Skechers, the models being discussed come boxed with an optional pair of insoles. If you don’t exercise that option, what you get is a pair of shoes with a Strobel which doubles up as the footbed. Sure, you can wear them without insoles, and at some point in the review we’ll tell you how they feel when worn so. But for this review, we’ll base our opinion on the usage of the shoe with the removable insole. The GoRun 4 just works much better that way, as did the GoRun Ride 3 and 4. 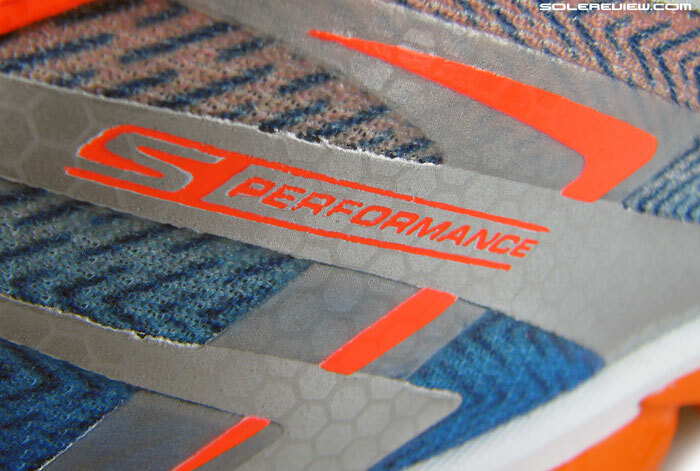 At this point, Skechers performance division has three road running shoes. Four, if you count the Ultra. 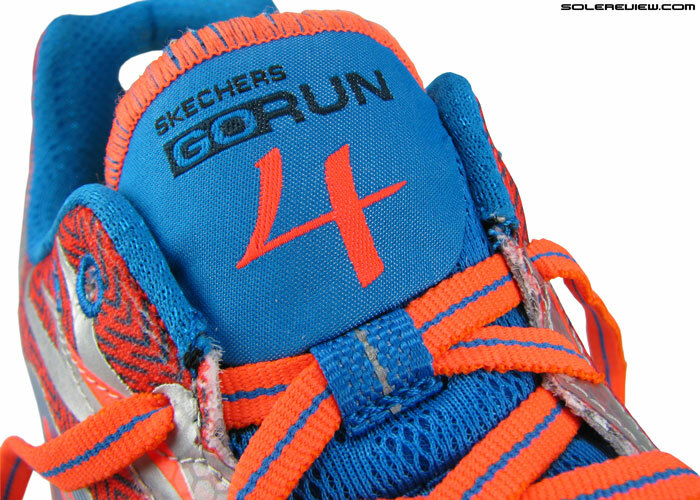 The GoRun 4 is part of the three shoe assortment which are torchbearers for the Skechers performance line, the other two being the $120 GoMeb 3 and $85 Ride 4. The GR 4 is positioned somewhere between the distance racing GoMeb and the more cushioned Ride 4, and is meant for runners who like the comfort of the Ride 4, yet crave for a higher level of efficiency during transitions. Closer to the GRR4 than the GoMeb Speed 3. To some, it might seem as if the GoRun 4 sits midway between GoMeb and Ride, yet the shoe is much closer to Ride 4 than it is to GoMeb. Think of the GoRun as a low fat version of Ride 4. There will be a lot of elements which taste familiar when compared to Ride 4, yet infused with a sense of reduction. Let’s put it this way. If GoMeb and Ride 4 were placed on two opposite sides of a scale, 1 being minimal racer and 10 being cushioned trainer, then the GR 4 would occupy a slot in the neighborhood of 7. The latest GoRun brings along new midsole architecture. 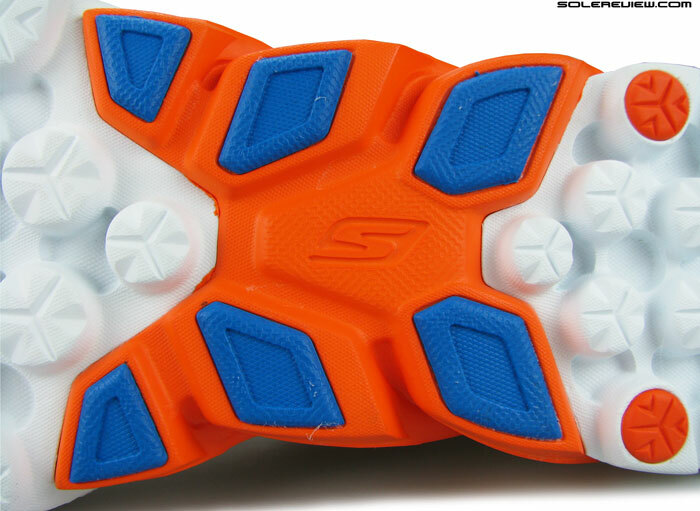 The revised ‘M-strike’ zone is now a separate piece of firmer foam with rubber outsole pods. 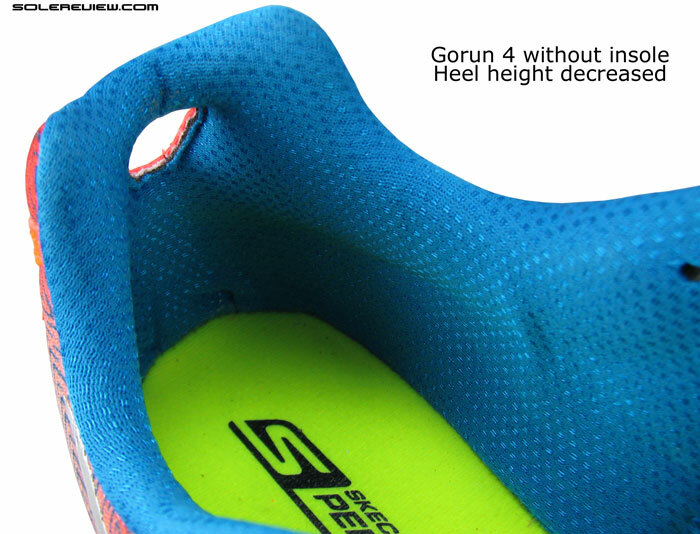 The GoRun 4 is still a well cushioned shoe, with heel and forefoot stack heights appearing similar to the GRR 4. Except that the midsole goes through a redesign, adding a new element under the midfoot – an evolution of its now long existing, ‘GoImpulse’ based pillar geometry. 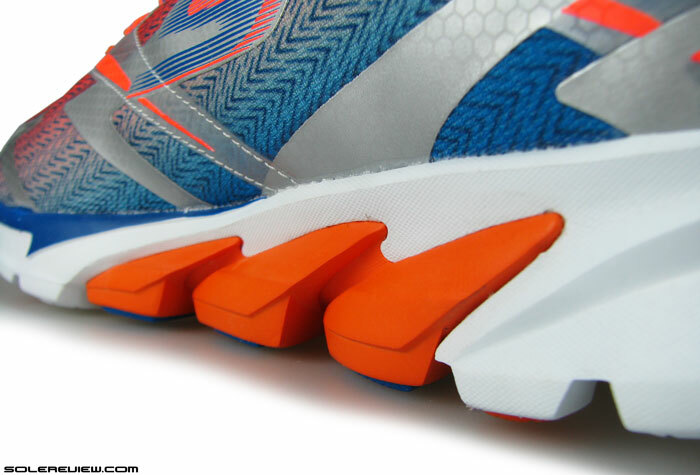 Instead of foam pillars running throughout the expanse of the outsole, the midfoot area now sees a separate piece of butterfly shaped foam clasping the underside. In this area, the orange colored foam is firmer than white, and the outsole has multiple rubber pods – none of them in pillar shape. 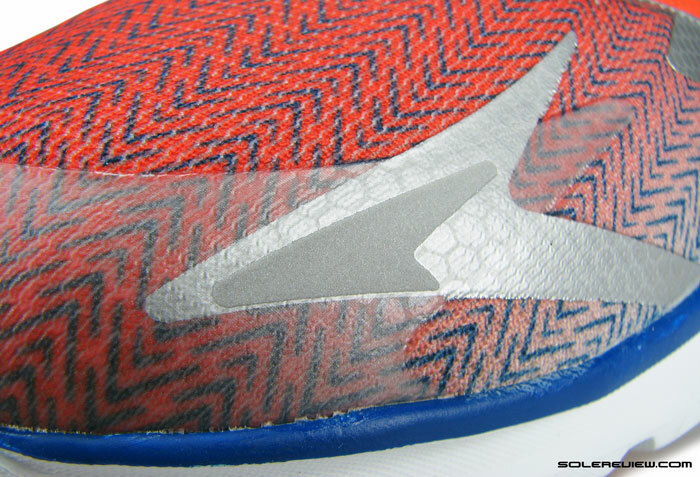 In contrast to rest of the outsole, flat rubber lugs occupy foam slots on either side. In addition to these, there are a few more circular bits of rubber affixed under heel and forefoot. We’re not entirely sure why Skechers chooses to put outsole rubber in the places they do. If you go by industry best practices, then rubber has always been used in high wear footstrike or push-off areas. 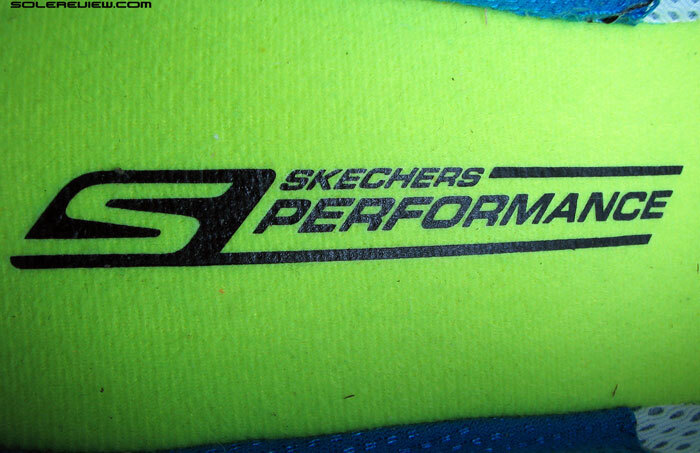 From what we’ve seen, the placement of rubber on Skechers shoes don’t seem to serve that purpose. Their usage of rubber is in non-conventional places like the fringe of outsoles, where they are not as effective from a durability standpoint. Outsole lug design shift to traditional , angular shape under midfoot. Skechers’ rocker design of the heel. 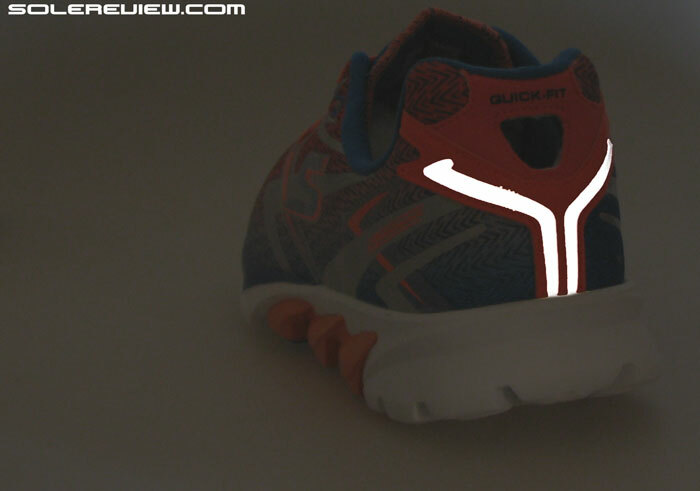 In case of heel strikers, it helps move the footstrike area slightly forward. Midsole insert increases rigidity in that portion, and makes for a stabler base too. The new midfoot area has plenty of rubber, and if the intention of putting so much rubber there was to make the section high wearing for ‘mid-foot strikers’, then it’s an exercise in futility. Skechers’ rocker shaped ‘M-Strike’ design will best have runners landing either forefoot or rear, shredding foam in those places. That said, there is another way to look at this design element. Skechers’ peculiar placement of rubber lugs does not help durability much. The midfoot insert and spread of outsole lugs act as effective transitional elements. However, if you treat GoRun 4’s outsole rubber as a transitional element, then the results are stellar, especially in light of this new midsole design. Transitions feel extremely smooth and efficient on the GR4, with firm midfoot foam helping weight transfer without mushiness. 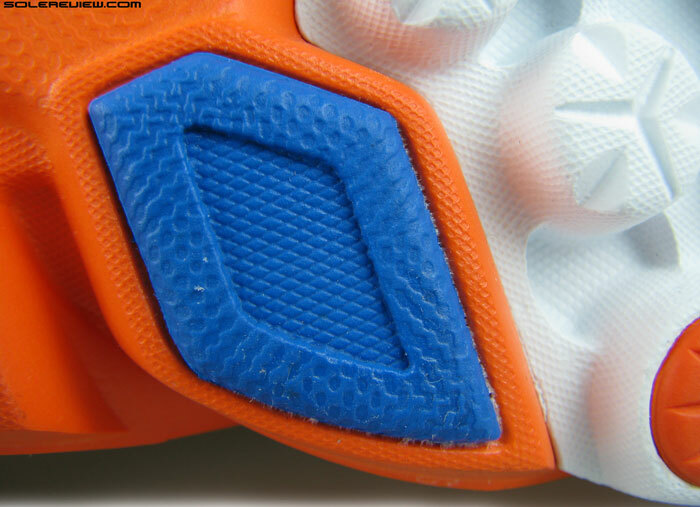 The part in orange is flared wide too, making the shoe come across as very stable and grounded under the arch area. Having this midfoot firmness solidifies the area, resisting sideways twisting and helping the shoe flex in the right area. 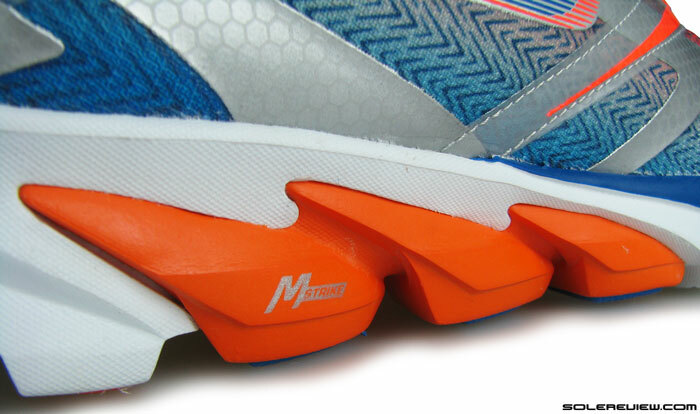 Unlike the nervous midfoot flexing of GoMeb Speed 3, the Run 4 bends in the forefoot – where any shoe should. Cushioning is not found wanting either. The white foam used in GR4 is firmer than a Ride 4 yet softer than GoMeb Speed 3, and you can feel the pillars compressing under heel and forefoot. Can’t call any of the Skechers shoes responsive (maybe just the GR Ultra), the cushioning is there in bits and pieces, but underscored with a flat character. As advertised, the shoe feels much more minimal when worn minus the insole, but then, we’d rather have it in than out. Not because it provides a higher level of cushioning, but for other reasons outlined below. There is a gap between the Strobel edge (green) and upper (grey), something you can feel when you’re running in the Gorun without socks. The number one reason why the use of insole is recommended is because of a flaw in strobel construction. This issue is limited to the forefoot, the mid and rearfoot being perfect. If you put your hand inside the GR4 and run your fingers around the forefoot strobel edges, you’ll sense a gap between it and the upper. Since the Strobel refuses to sit flush with the upper, this gap is felt during runs during toe-offs. You are more likely to feel it on the medial (big toe) side than lateral. Strangely, this was not felt in the similarly designed Gorun Ride 4. It is possible that the difference in upper materials helped the Ride 4 fill in the gap. 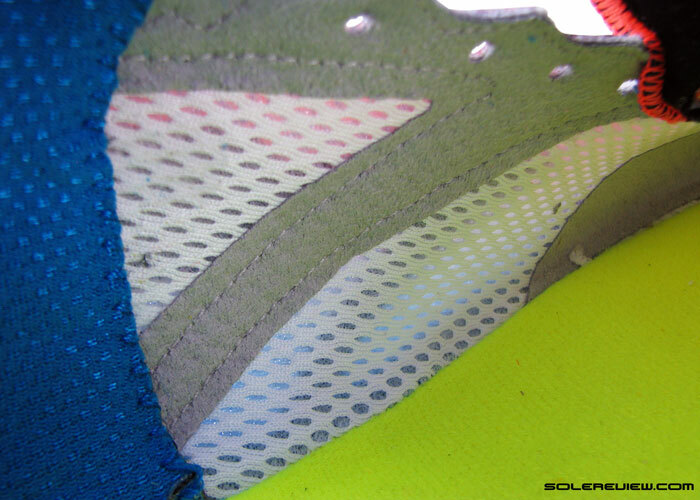 This is how the depth looks with the insole popped in. And this gives you an idea of how the shoe looks without the insole. The difference is huge vs. the picture above. As you can see, the depth variance is huge. When used without the insole, GR4’s upper ceiling becomes a lot higher, opening up tons of room inside. It is a shoe equivalent of wearing a pair of surfing shorts. Great if you need tons of splay room and air circulation, because they come provided in plenty. But that isn’t the end of it, as the extra space brings a couple of things in its wake. If you need to get some more lacing pressure and cinch the upper tighter, the forefoot material tends to bunch/gather up. That is not a functional drawback, but the end result just doesn’t end up looking good. The collar heights also increase a lot, and you can feel the edges riding up your ankles. The heel also feels loose without the insole. There isn’t as much collar foam padding as there was in the Ride 4, so the switch in heights make a greater difference. Smooth lining with padding subtlety. 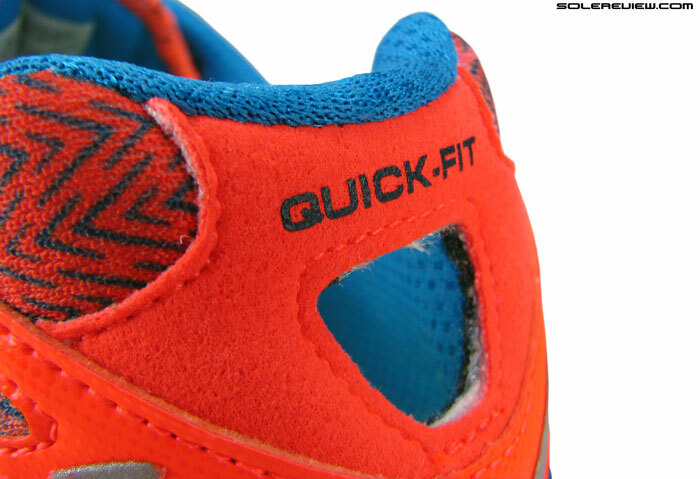 Quick fit debuted on the GRR 4 and GR4. An opening meant to ease slipping the shoe on. Hard to miss, night time brightness. 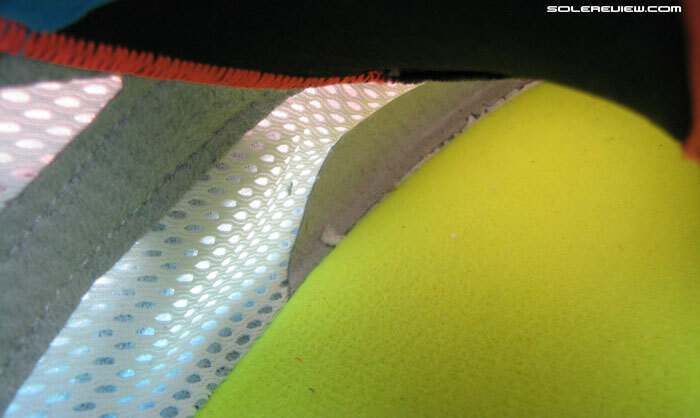 Barring the padding and lining material used, heel design resembles the Ride 4. 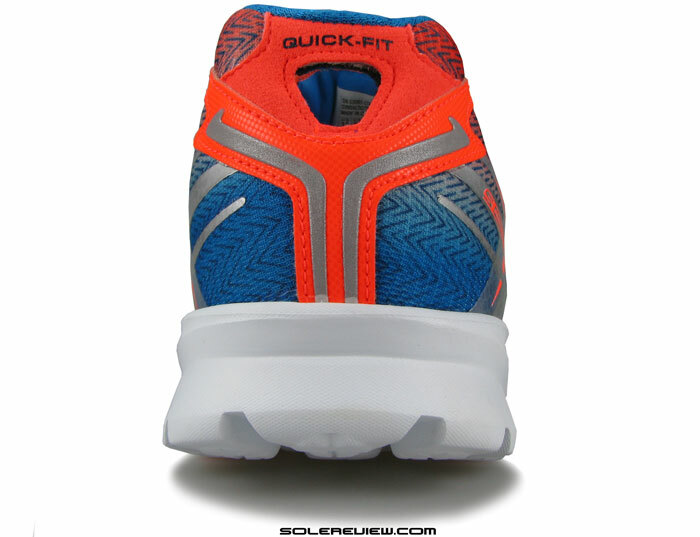 Like the $85 shoe, the Gorun 4 uses the new feature called the Quickfit. 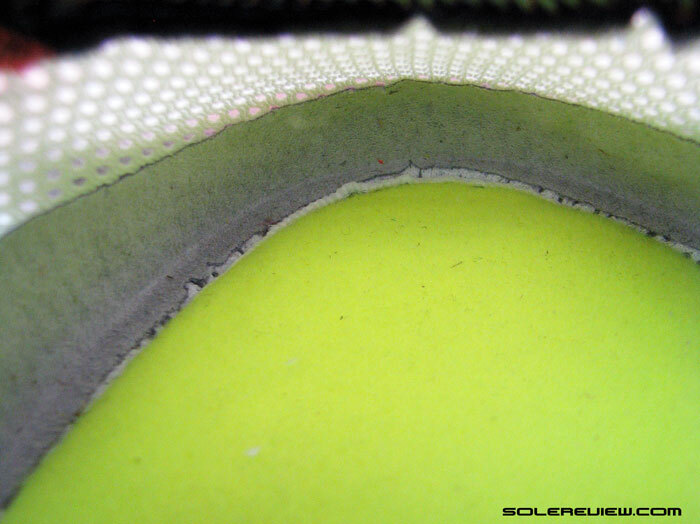 A hole over the Achilles base which gives a better grip for your index finger when you’re trying to slide the shoes on. On the outside, heel Reflectivity is very prominent; two strips coming together in a funnel like shape. Better idea to stop calling these optional, and start offering widths. So the moral of the story is: Wear your Skechers with the insole provided for best results. As a matter of fact, our opinion is that Skechers should simply plonk in the insole, stop calling it optional and start offering widths like any self respecting, serious footwear brand would do. We see Mizuno and Skechers as go to brands when it comes to spacious forefoot, and providing width options would only get more adopters into Skechers’ fold. There is not a great deal of room around the forefoot, but the material is accommodating and slightly stretchy. 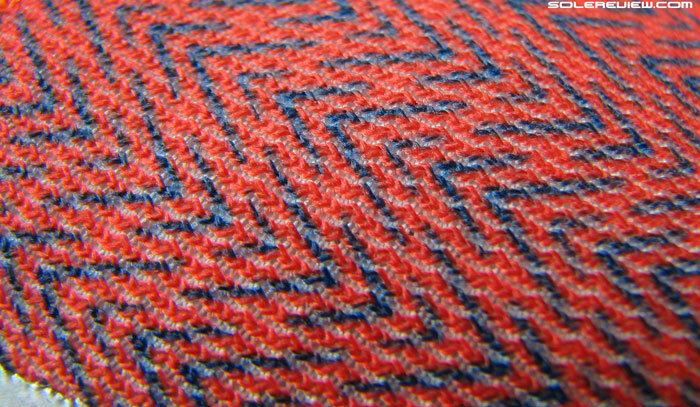 A close-up of the mesh. The knit structure allows a modicum of one way stretch. 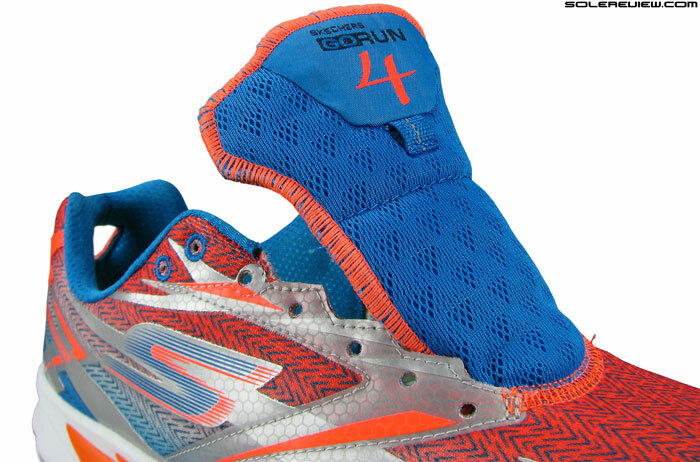 The GoRun 4’s upper comes with an accommodating forefoot. Ok, maybe not as roomy as the Gorun Ride 4, but there’s enough splay room on the sides. 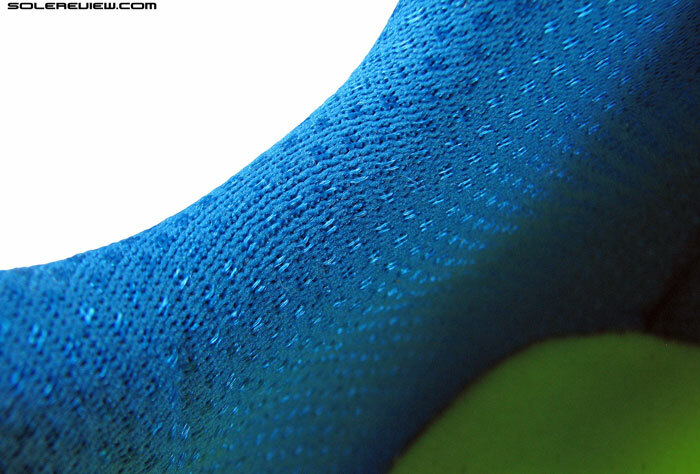 In addition to that, the mesh is accommodating in structure and there are no synthetic leather overlays. As a more minimal cousin of the Ride 4, the GR4 goes all out on fused, filmic overlays, only using synthetic leather on back of the heel. Filmic, fused layers on the toe bumper. 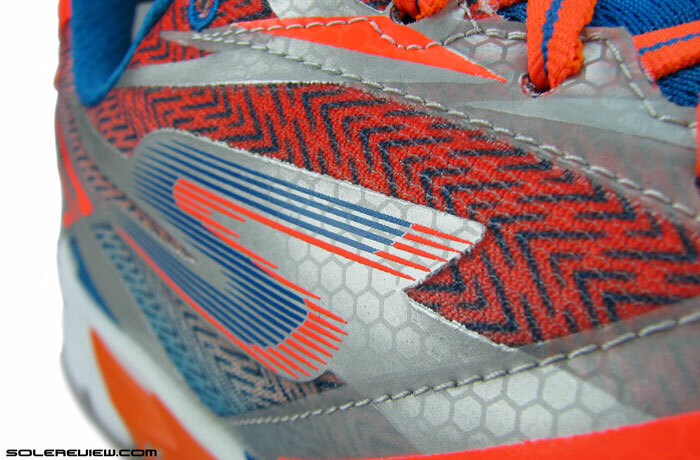 That silver Chevron is reflective, and toe box is shallow. The toe-box shape is snouty and shallow. There’s no stitched-on toe bumper, just a filmic layer topped with a set of twin reflective bits. So that drops the height in the front, and your big toe will strain itself against the mesh. Stitching on fused overlays? More function than aesthetics. A piece of synthetic nubuck inside delivers structural support, and that’s what the stitching is for. Tongue is thinly padded and un-gusseted. Tongue slide isn’t severe. There is some stitching going on near the upper midfoot, but that’s more to lend structural support to the upper. There are boomerang shaped pieces of soft synthetic inside the upper serving as eye-stay and midfoot reinforcement, and the stitching keeps them in place. The tongue doesn’t have a gusset to keep it from sliding, so there’s that too. Slide is within manageable limits, nothing to nitpick about. Default lacing is flat and semi-elastic. The extra pair is traditional rounded. Midfoot fit is comfortably snug. There’s just a hint of padding in the flat-lock stitched tongue, and the default laces are flat and semi-stretch like the Ride 4. These help the upper sit flush over the foot. There’s also that internal underlay we spoke about, and that plays a role in upper fit too. 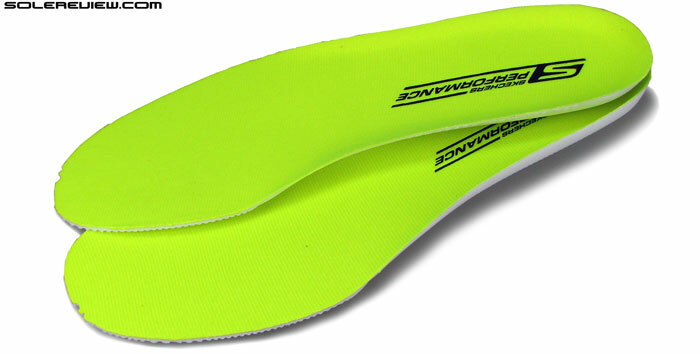 Insides are smooth, which translates into an irritation free barefoot experience, unless you’re aren’t using the insole. In which case, your foot will feel the gap between the Strobel and upper. 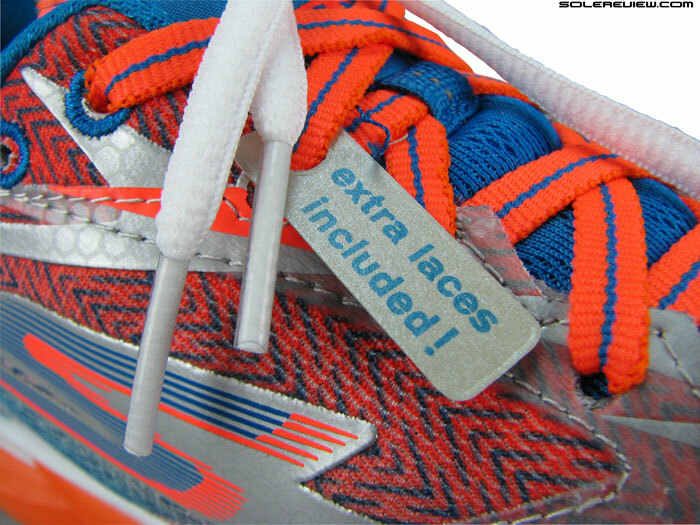 Extra laces are a thing on the Run 4; every pair comes with traditional round laces as well. Most Skechers shoes are lightweight due to their foam based sole design. The lack of overlays help drop the weight further. The GoRun 4 comes in at a less than 250 gms/ 10 Oz for a half pair of US 11, which is marginally lighter than Ride 4. Not a bad deal, because we have to remember that the Run 4’s midsole sports a separate component with a higher amount of outsole rubber. The recently reviewed Gorun Ride 4 gave us the sense that Skechers is working hard towards improving its shoes, and while we haven’t tested the Gorun 3, the fourth iteration does nothing to change that impression. 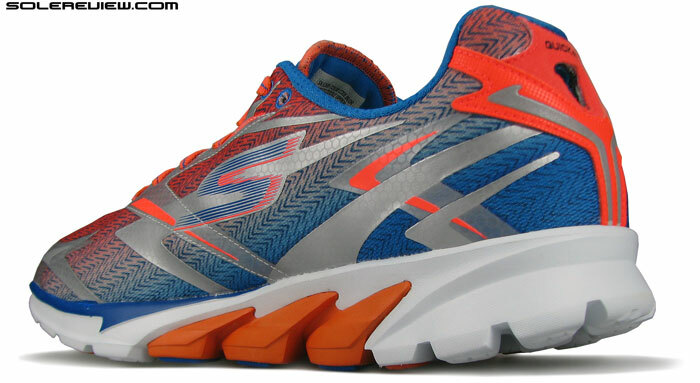 It’s a shoe which balances cushioning and quality of transition, and makes for a good pace shoe. It is sufficiently differentiated from the harder riding GoMeb and cushioned Ride 4, so there’s separation value too. One thing which bothers us is the $100 retail, considering the Gorun’s pricing history. Skechers is far from being an established player in this intensely competitive marketplace – it will not bode well to bring about abrupt price increases. In GoRun 4’s case, there is a $25 jump in price over last year’s $75 retail. That’s huge by any benchmark; even industry veterans tread cautiously when faced with the prospect of price bumps. Compared to the adidas shoes you’ve mentioned, Skechers still has some way to go. And hence the price increases are unjustified. That’s correct, and our bad. We meant 25$ increase. Not directly related to this review, but why have you removed your upcoming reviews list and calendar? Also I really appreciate your reviews, they are topnotch! We are facing some temporary operational issues with respect to the schedule. The calendar will be back as soon as we have a better fix on things. If it helps, the next three reviews are Brooks PureConnect 4, Mizuno Prophecy 4 and PureCadence 4. The upcoming reviews section is back! I believe the insoles add 4mm to an already 4mm differential. I do not believe this was the case before and, for me at least, is a deal breaker. Can’t say about the Gorun 3 since we haven’t tested them. But as far as GR4 is concerned, the differential increases by a mere 2mm, which is inconsequential. I have ran in Asics Kayano 20 then Brooks Ravenna 5. I always have knee and foot pain after 10km. Recently change to GR4 and i ran a half marathon and 10km the day after and i dont have any of my usual problems. Finally found the shoes that is suitable for me. My cadence also improved from 150 steps/min to about 175steps/mins. Now i just love this shoes! Great to hear that! Thank you for sharing your experience.